Northwest Institute for Contemporary Learning (NICL) Library has a unique role in the information and educational resource needs of the School. The goal of the Library is to provide educational resources to support the students, reinforcing their classroom experience, and sustain the classroom teaching, in the overall learning process. Library skills are introduced as important tools of learning to all grade levels, to ensure that students could have free access to books and information as when they are needed, now and in the future. To further achieve this goal, a mandatory weekly Library class is entrenched in the school’s curriculum, for all students, during their free study time. We are fortunate to have a substantial collection of books, journals, reference materials, audio-video tapes, videos, movies, slides, reels, LPs, DVDs/ CDs, and periodicals at various reading levels. There are also a variety of games, and puppet materials, under the parents’ participation program. Book Report, as part of the Reading program is linked with the Library. 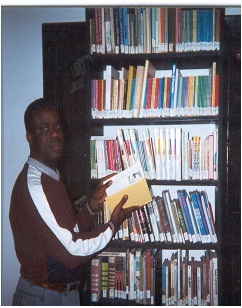 Efforts are made yearly to ensure that the Library has on shelve, all the books in the book reports’ reading list. The Librarian is always available to provide assistance and guidelines to students on how to write the book reports; and research materials on all other annual projects: the Science, Black History and the Art/Cultural Fairs. Students are always welcome to visit the Library during and after school. The NICL Library has completed arrangements for the installation of digital processing, using Resource Mate 3.0 Software. This is a complete solution to Cataloging, Searching and Circulating the Library. This will allow for easy access to material in serving our patrons.